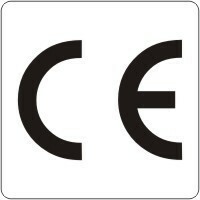 Labeling & Organization include the popular CE Mark Labels. We offer IEC Electrical Ground and CE Mark Labels as well as safety incentive labels, hard hat and helmet labels, and first aid labels as well as many other labels to meet your facilities needs. Custom Paper Label Rectangle 1.25" x 3.5"
Custom Paper Labels Rectangle 1" x 2"
Custom Vinyl Label Rectangle 7/8" x 3"
Earth Ground Terminal Label 1/2"
Terminal of a Protective Earth Ground Electrode Label 1"